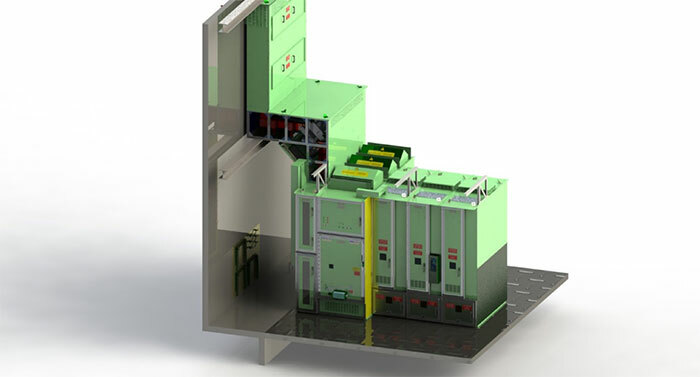 Arc-Proof Electrical Switchgear - DUAL-ADE inc. In case of an electrical internal default, the aluminum frame (MODU-AL) of the arc-proof electrical switchgear is designed to resist to the intense energy generated by the mechanical and thermal forces created during a default. The shockwave and hot gases produced are evacuated to the roof by chimneys designed for this purpose, thus protecting the front and sides of the switchgear and avoiding bodily injuries to staff near the switchgear or major damage to surrounding facilities.